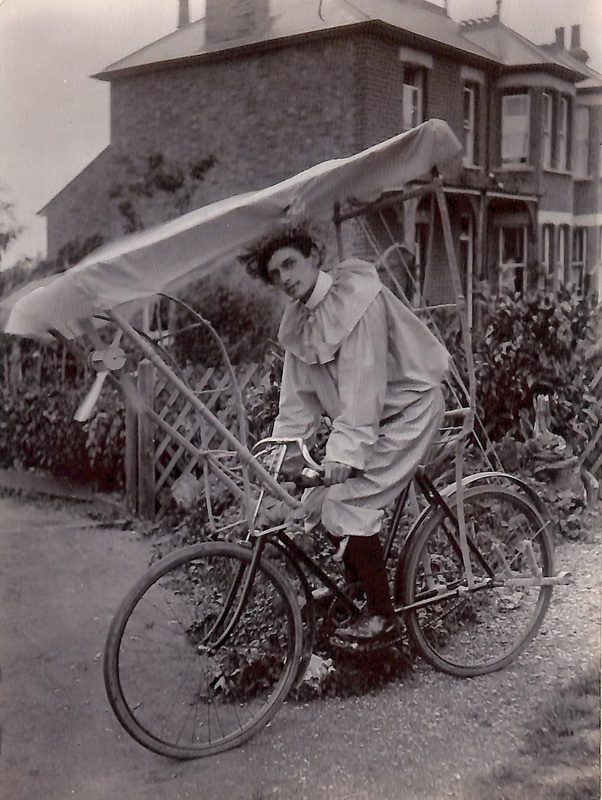 © A decorated 1911 bicycle! 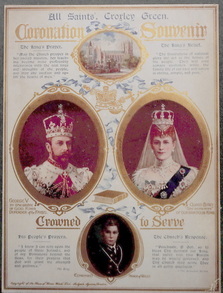 King Edward VII reigned for eight years. He died on 6th May 1910 and was succeeded by his son George. 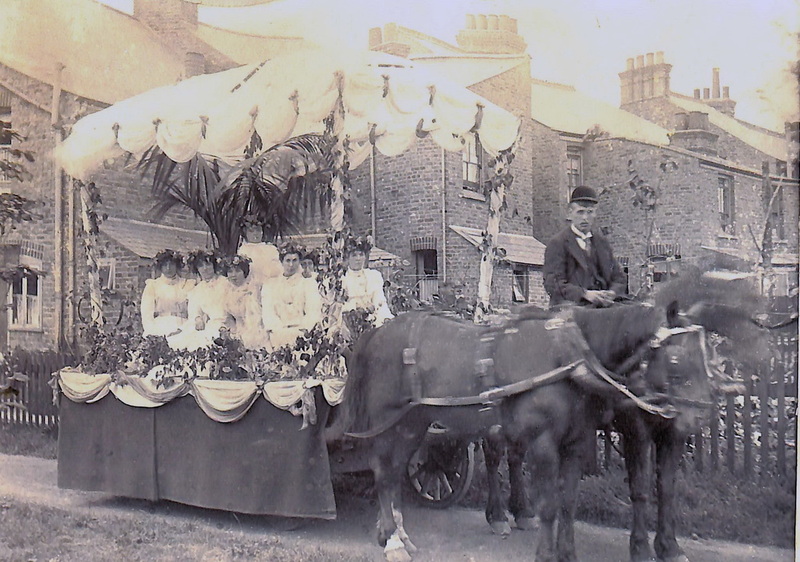 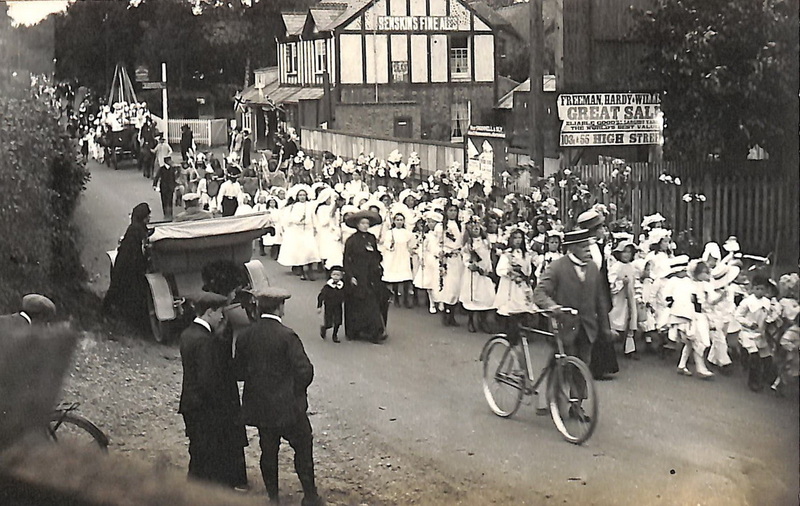 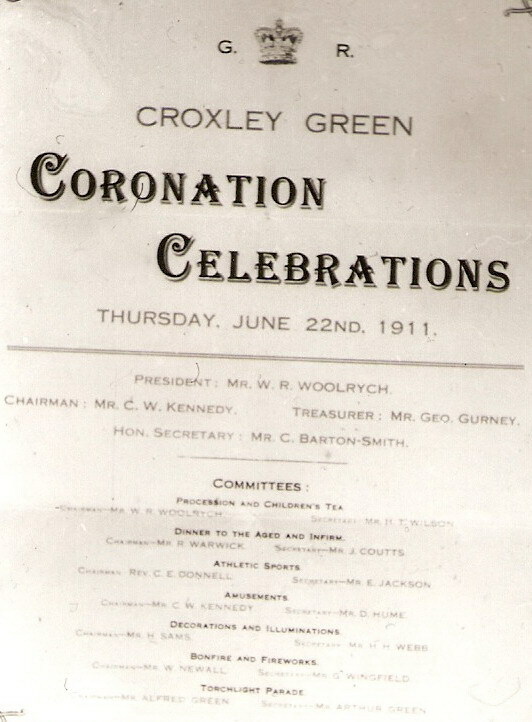 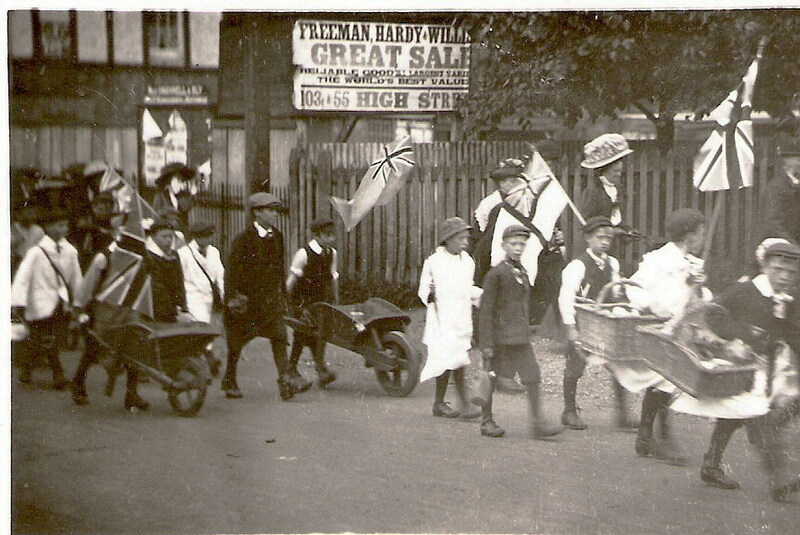 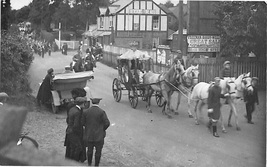 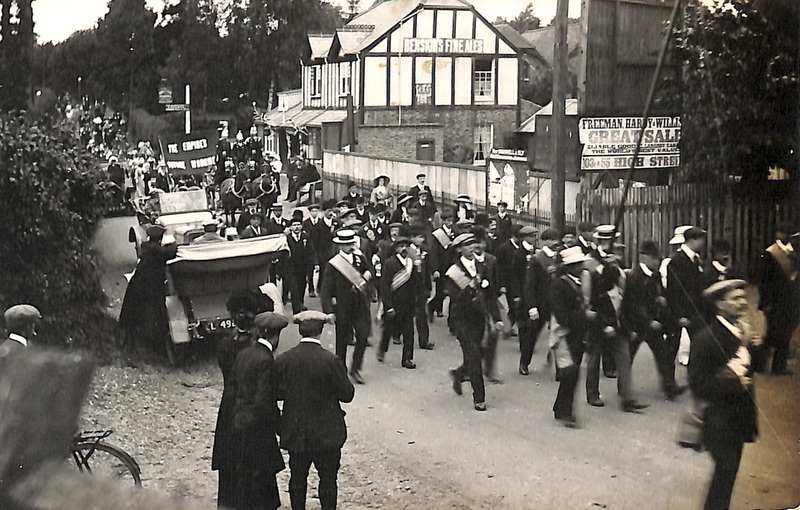 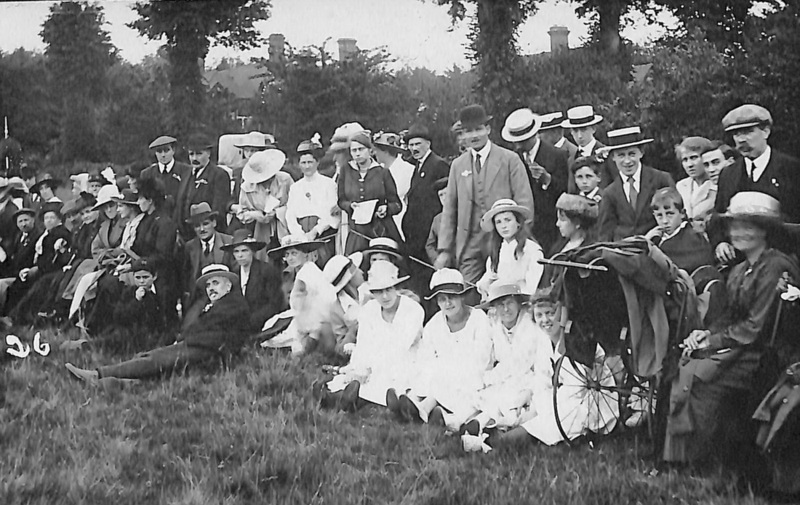 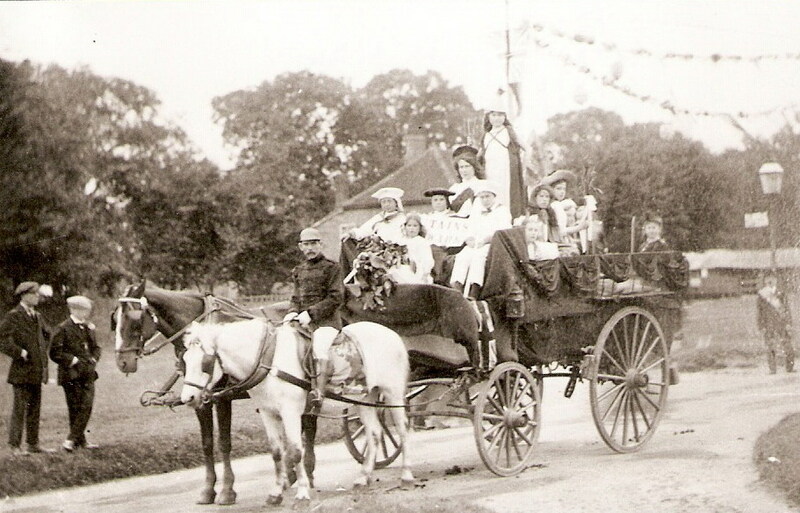 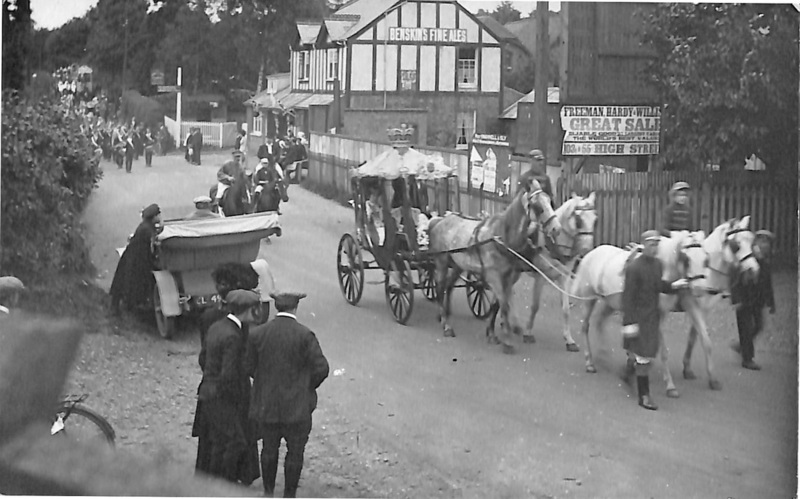 Croxley Green prepared for another day of celebrations which took place on Coronation Day, Thursday June 22nd 1911. 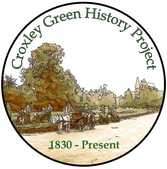 A report in the West Herts and Watford Observer, describing the Croxley Green celebrations, states that: The celebrations were carried out with the thoroughness that must have put many other towns in the county in the shade. 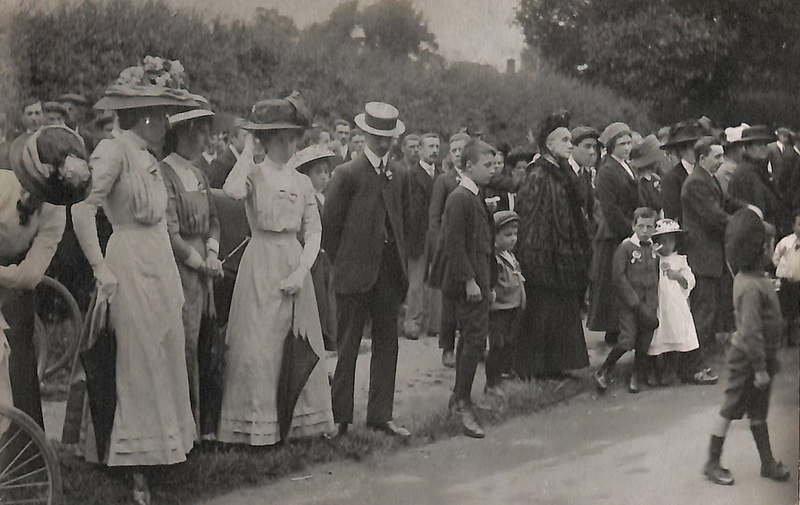 Apparently, The Green was decorated with attractively coloured chains and poles. The festivities were much the same as those enjoyed when celebrating the coronation of King Edward VII. 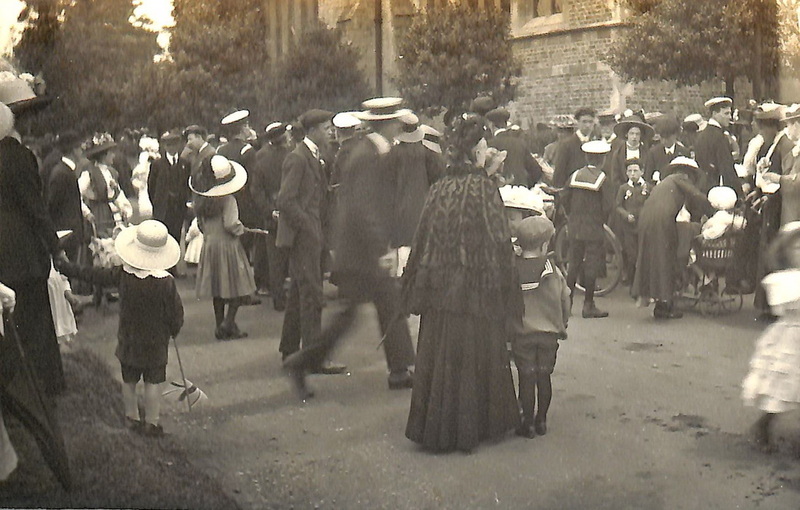 The celebrations commenced at 11am when the church choir sang a Te Deum and the National Anthem in the garden of All Saints Church. 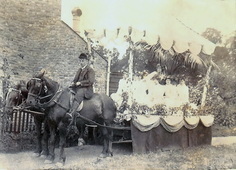 The procession, as recounted, was extremely impressive and beautiful. It included a variety of cars, the fire brigade, provident societies, school children and the Dickinson Institute band. 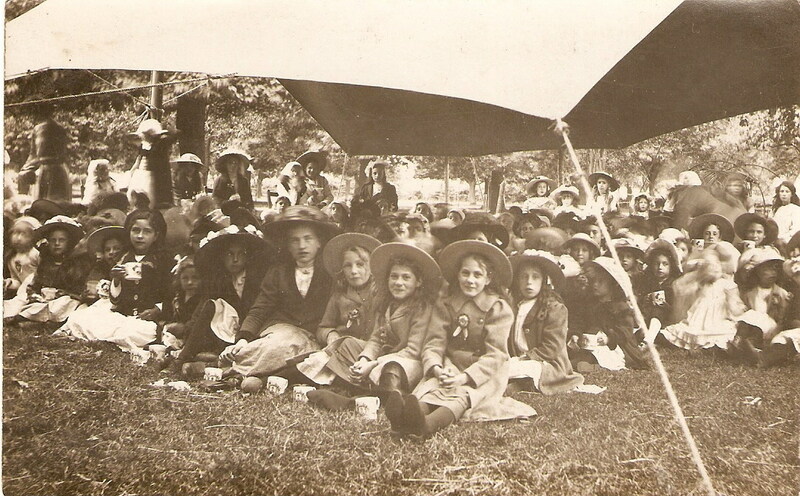 The children were a delight and some of the girls who wore fancy dress came as fairies, lily maidens, rose maidens, and Empire maidens. 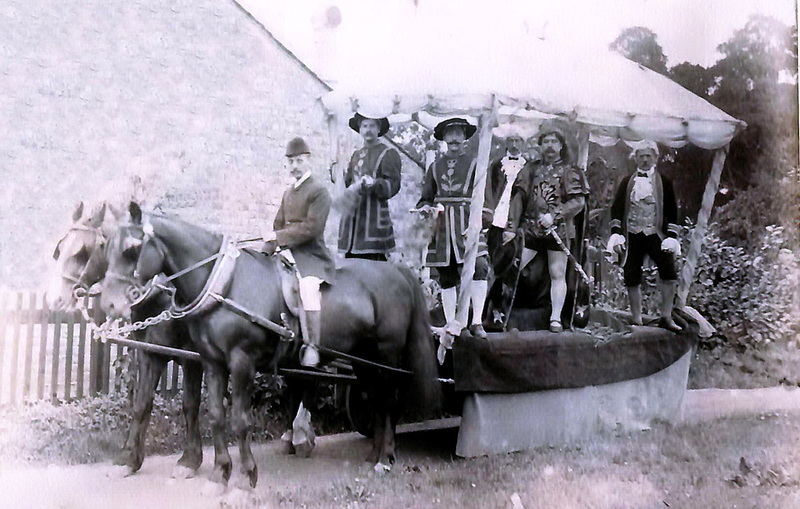 An historic theme gave rise to the presence of Ancient Britons, Saxons, Vikings, Normans, Charles 1st, Elizabeth 1st, and Mary Queen of Scots. A large number of boys were dressed in Tudor costumes and preceded a large state coach upon which sat two august figures representing the King and Queen. 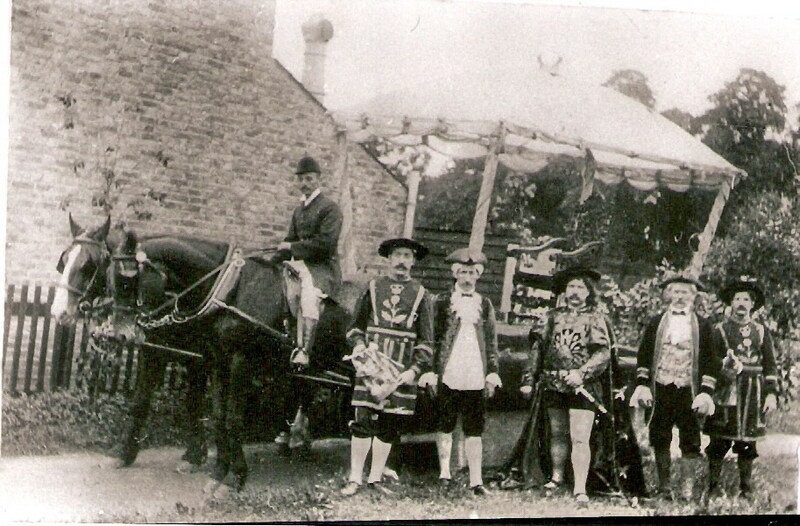 This was followed by a whole host of characters: Robin Hood of Sherwood Forest and some of his merry men, John Bull and many others. There were various groups and societies including the Church Lads' Brigade, The Foresters, Odd Fellows, and United Patriots Friendly Society. 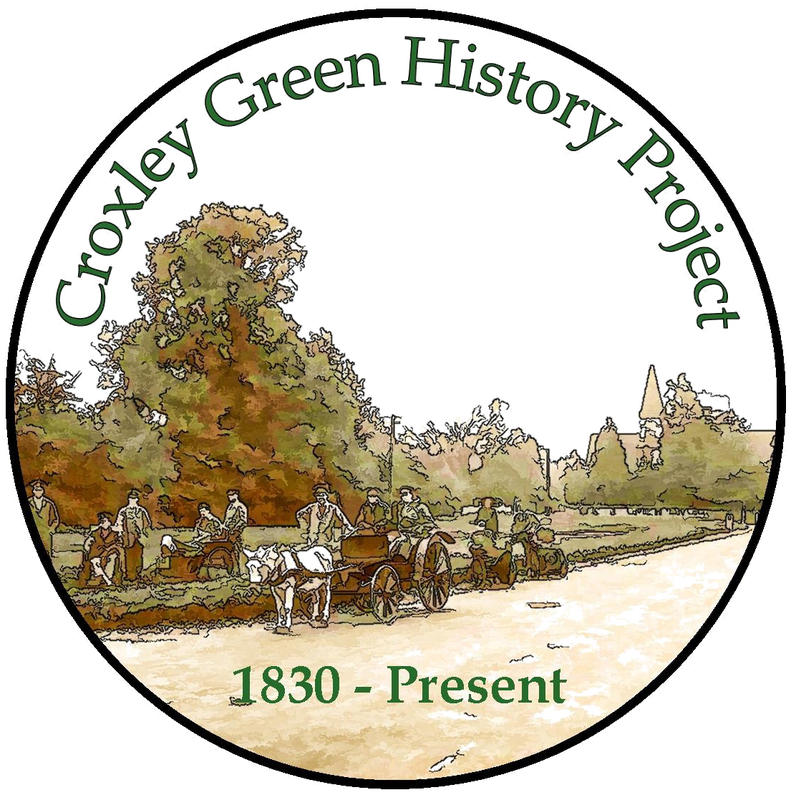 It seemed that the majority of the population of Croxley Green were involved in some way or another. 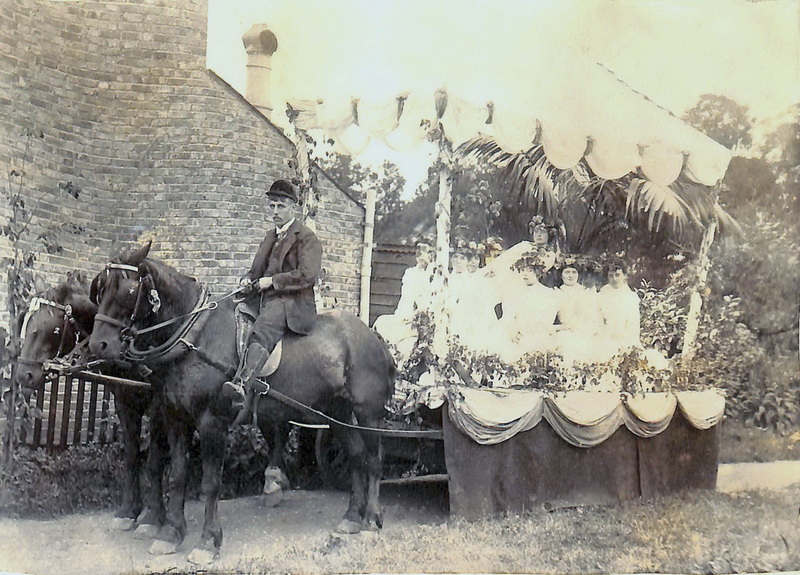 Mr George Gurney who lived at ‘Sunnyside’ on The Green made his garden available for lunch so that the elderly and less able could lunch together. 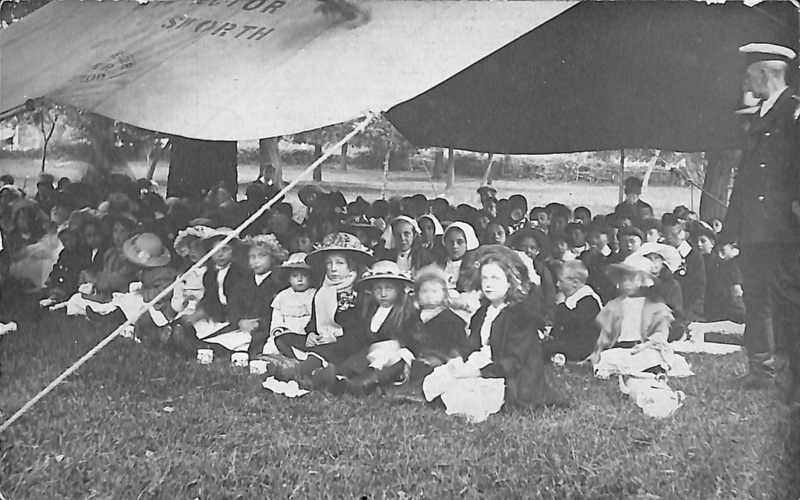 Arrangements were made so that those who were housebound could have lunch served in their homes. 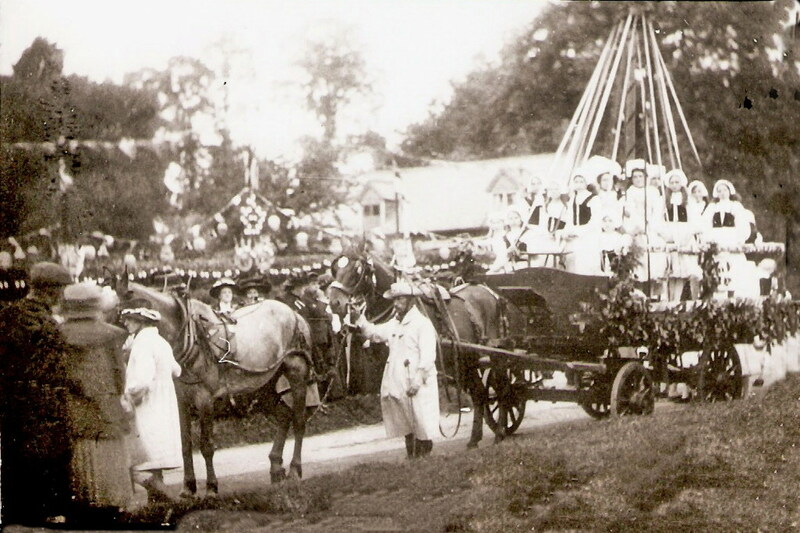 The afternoon was given over to celebrating with traditional Maypole dancing. 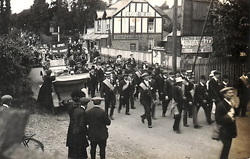 The Dickinson Institute band entertained the crowd during intervals and the local fire brigade provided a display whilst active villagers enjoyed competitive sporting athletics. 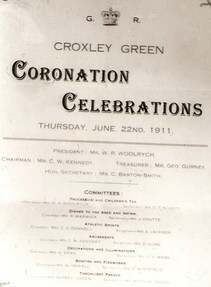 Mr & Mrs Woolrych once again presented coronation mugs to the school children as well as providing a celebratory tea party in Mr. Stone’s Orchard. 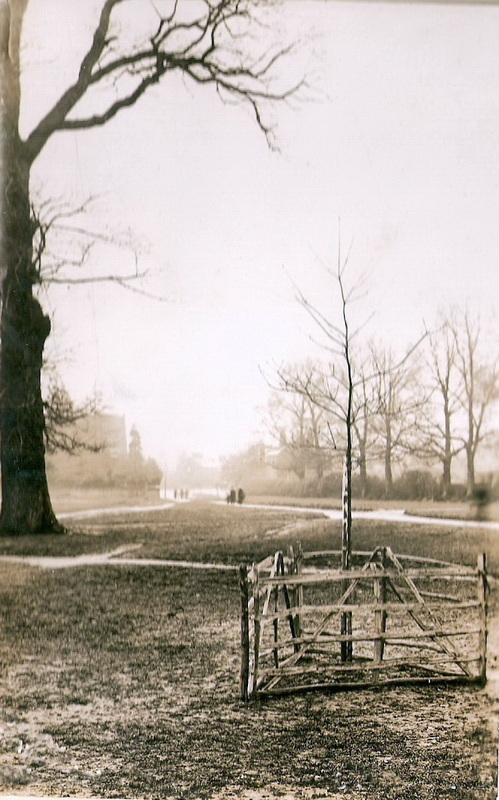 An oak sapling was planted on The Green as a permanent memorial. 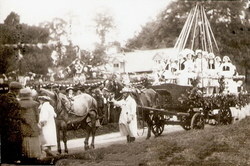 Inclement weather in the evening forced the postponement of a planned torchlight procession and firework display. 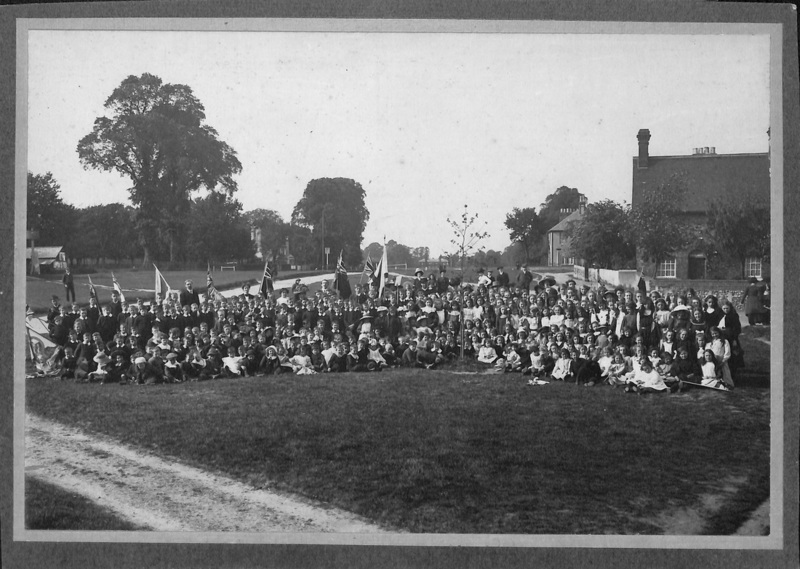 These took place the following evening at the north end of The Green. 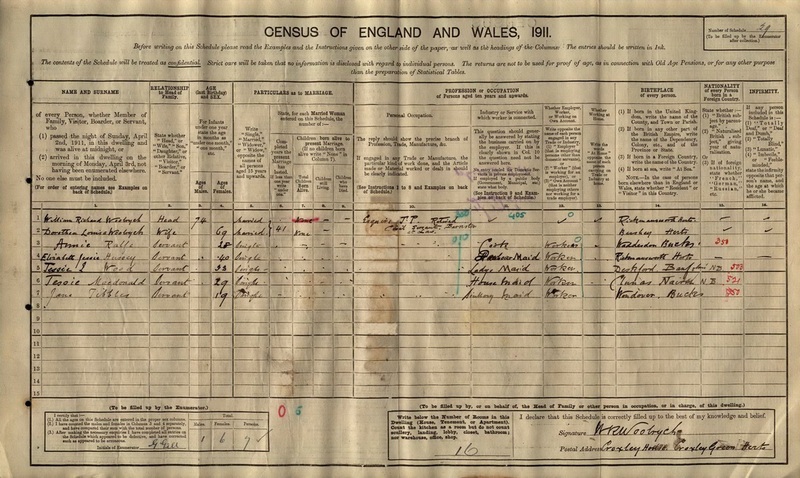 The census shows William and Dorothea have been married for 41yrs and did not have any children. 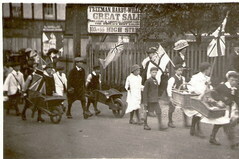 Records show they were interested in the village activities including the celebrations involving school children.